Enjoy your stay. Rock and roll is in our DNA. 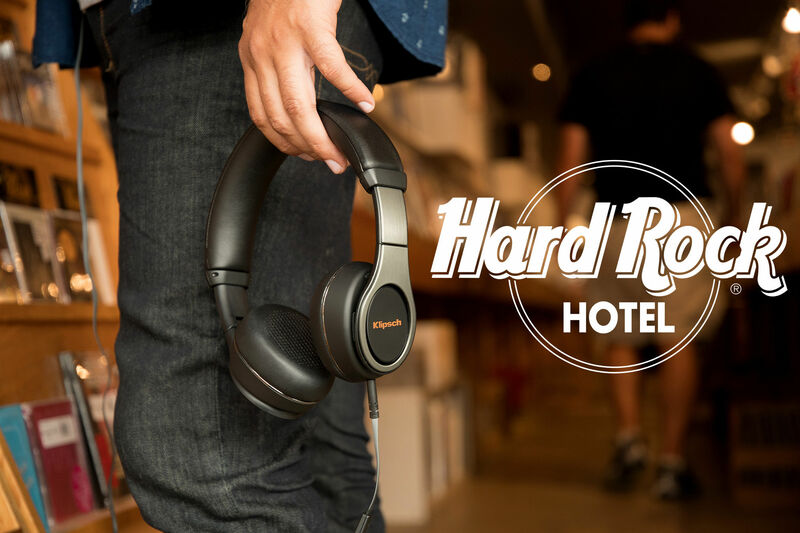 So, it's only natural Klipsch, America's legendary headphone and speaker maker, would team up with the Hard Rock® Hotel to amp your stay up a notch. 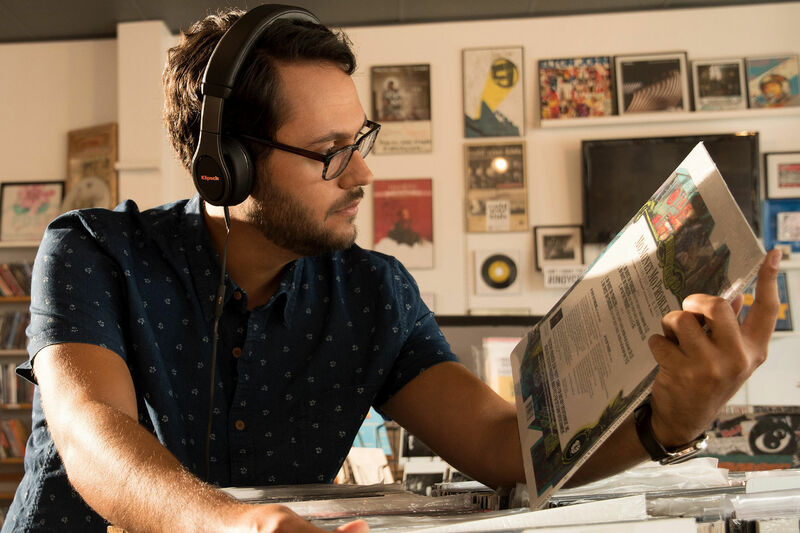 While you're here, take a moment to enjoy the Klipsch Reference On-Ear II headphones. Plug them in to rock any way you like. As one of Paul W. Klipsch’s first labors of love, every pair of headphones combines our legendary acoustic heritage with unbeatable comfort. 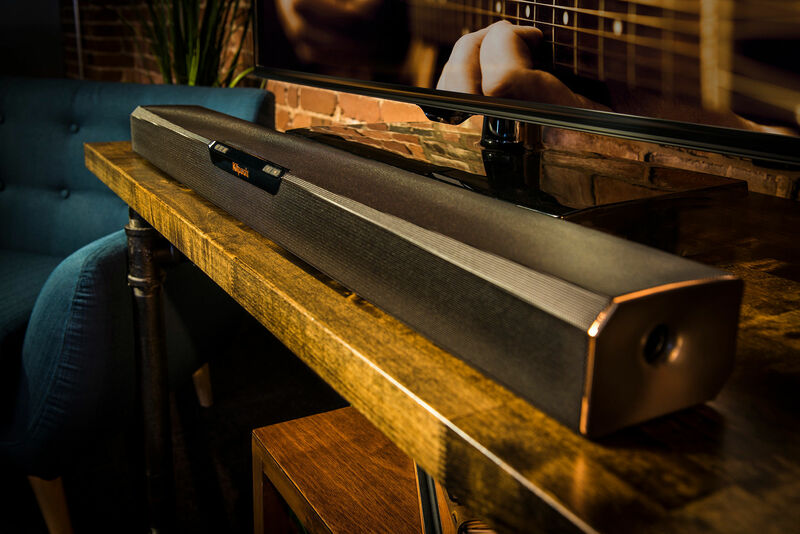 Klipsch sound bars offer the clarity and acoustic performance of a home theater system with easy plug-and-play installation. Don't let the size fool you. The Three with Google Assistant delivers a premium audio experience professionally tuned by Klipsch acousticians. 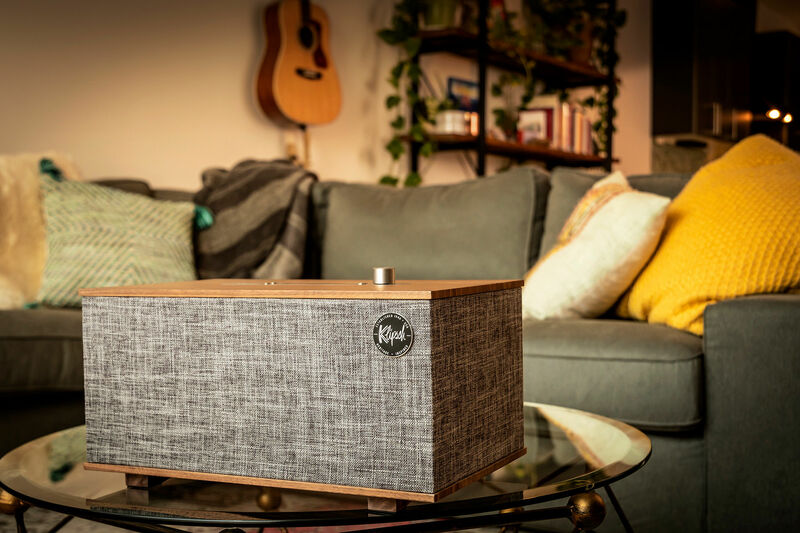 Our entire Heritage-inspired line provides a better, in-home sound experience using proprietary acoustic technology and luxury-inspired materials. 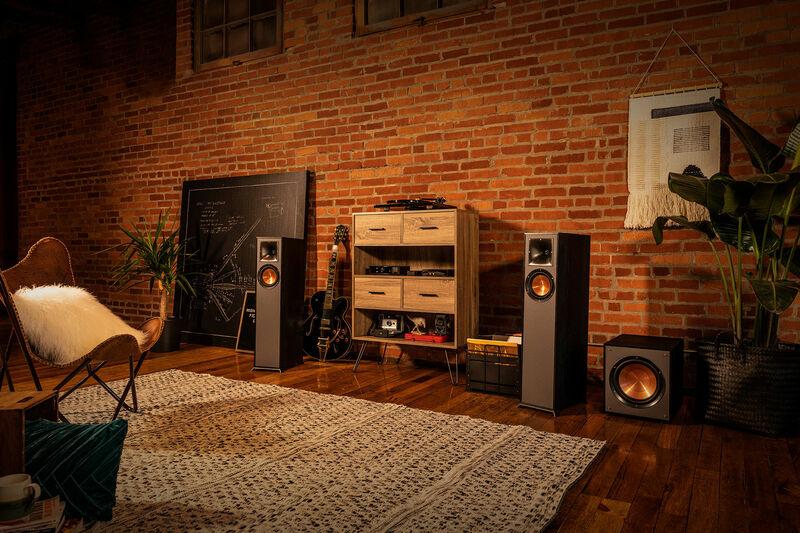 Delivering an intense sound experience in an elegant package, Klipsch Reference speakers provide soaring highs and booming lows while complementing your home décor. Sign up for our newsletter and the get the latest products, technology, special offers and more. COUNTRY AfganistanAlbaniaAlgeriaAmerican SamoaAndorraAngolaAnguillaAntarcticaAntigua and BarbudaArgentinaArmeniaArubaAustraliaAustriaAzerbaijanBahamasBahrainBangladeshBarbadosBelarusBelgiumBelizeBeninBermudaBhutanBoliviaBosnia and HerzegowinaBotswanaBouvet IslandBrazilBritish Indian Ocean TerritoryBrunei DarussalamBulgariaBurkina FasoBurundiCambodiaCameroonCanadaCape VerdeCayman IslandsCentral African RepublicChadChileChinaChristmas IslandCocos Keeling IslandsColombiaComorosCongoCongo, Democratic Republic of theCook IslandsCosta RicaCote d'IvoireCroatia HrvatskaCubaCyprusCzech RepublicDenmarkDjiboutiDominicaDominican RepublicEast TimorEcuadorEgyptEl SalvadorEquatorial GuineaEritreaEstoniaEthiopiaFalkland Islands MalvinasFaroe IslandsFijiFinlandFranceFrance, MetropolitanFrench GuianaFrench PolynesiaFrench Southern TerritoriesGabonGambiaGeorgiaGermanyGhanaGibraltarGreeceGreenlandGrenadaGuadeloupeGuamGuatemalaGuineaGuinea-BissauGuyanaHaitiJamaicaHoly See (Vatican City State)HondurasHong KongHungaryIcelandIndiaIndonesiaIran, Islamic Republic ofIraqIrelandIsraelItalyJapanJordanKazakhstanKenyaKiribatiKorea, Democratic People's Republic ofKorea, Republic ofKuwaitKyrgyzstanLao People's Democratic RepublicLatviaLebanonLesothoLiberiaLibyan Arab JamahiriyaLiechtensteinLithuaniaLuxembourgMacauMacedonia, The Former Yugoslav Republic ofMadagascarMalawiMalaysiaMaldivesMaliMaltaMarshall IslandsMartiniqueMauritaniaMauritiusMayotteMexicoMicronesia, Federated States ofMoldova, Republic ofMonacoMongoliaMontserratMoroccoMozambiqueMyanmarNamibiaNauruNepalNetherlandsNetherlands AntillesNew CaledoniaNew ZealandNicaraguaNigerNigeriaNiueNorfolk IslandNorthern Mariana IslandsNorwayOmanPakistanPalauPanamaPapua New GuineaParaguayPeruPhilippinesPitcairnPolandPortugalPuerto RicoQatarReunionRomaniaRussian FederationRwandaSaint Kitts and NevisSaint LUCIASaint Vincent and the GrenadinesSamoaSan MarinoSao Tome and PrincipeSaudi ArabiaSenegalSeychellesSierra LeoneSingaporeSlovakia (Slovak Republic)SloveniaSolomon IslandsSomaliaSouth AfricaSouth Georgia and the South Sandwich IslandsSpainSri LankaSt. HelenaSt. Pierre and MiquelonSudanSurinameSvalbard and Jan Mayen IslandsSwazilandSwedenSwitzerlandSyrian Arab RepublicTaiwan, Province of ChinaTajikistanTanzania, United Republic ofThailandTogoTokelauTongaTrinidad and TobagoTunisiaTurkeyTurkmenistanTurks and Caicos IslandsTuvaluUgandaUkraineUnited Arab EmiratesUnited KingdomUnited StatesUnited States Minor Outlying IslandsUruguayUzbekistanVanuatuVenezuelaViet NamVirgin Islands (British)Virgin Islands (U.S.)Wallis and Futuna IslandsWestern SaharaYemenYugoslaviaZambiaZimbabwe Country is required.